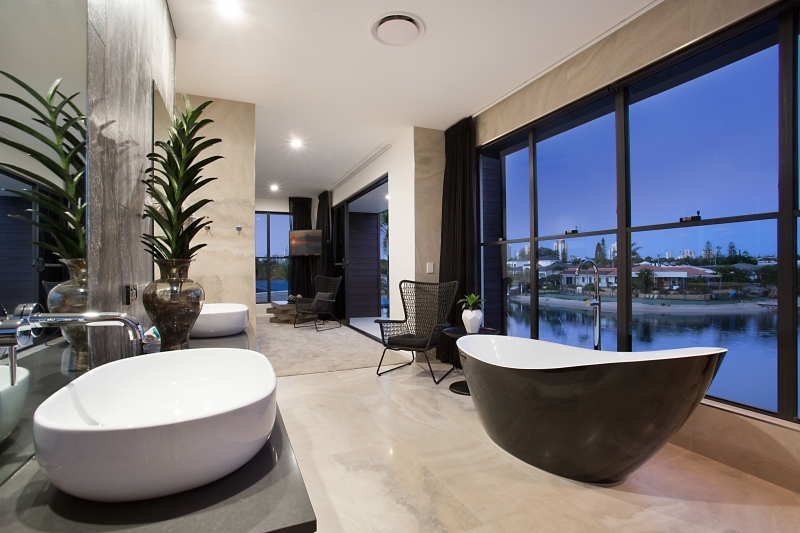 Building canal front homes on the Gold Coast is not just what we do, it’s what we love. And looking back on our handiwork is one of our favourite parts of the process. There’s nothing quite like the feeling of finishing a project, and being completely chuffed with the result. 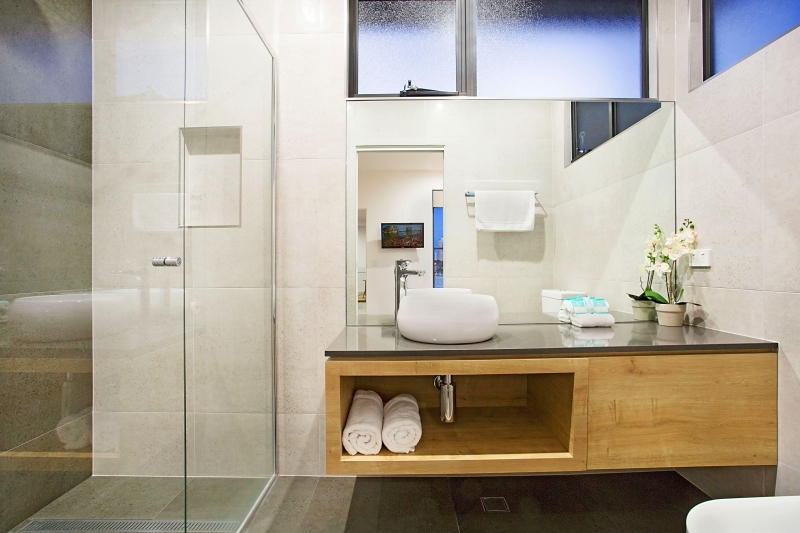 This recent canal front home we built on Rio Vista Boulevard in Broadbeach is one of those projects. With polished concrete floors and wooden finishes throughout, the clean aesthetic of this mid-century modern evokes a sense of understated style and luxury. The alfresco entertainment area, complete with pool and sophisticated outdoor kitchen, boasts views of Broadbeach Waters, the neighbouring yachts floating calmly on the reflection of the city skyline. 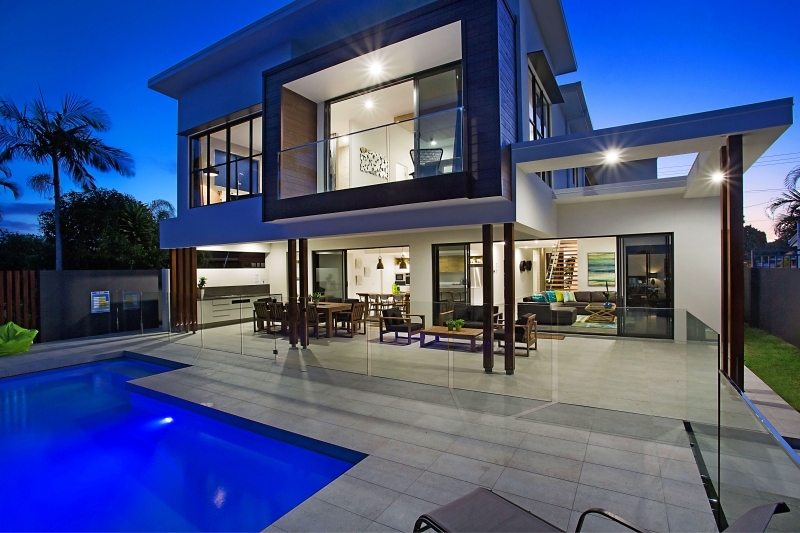 Elegant, Gold Coast living at its finest. We’re passionate about building spectacular canal front homes, and we believe it’s evidenced in stunning outcomes like this. 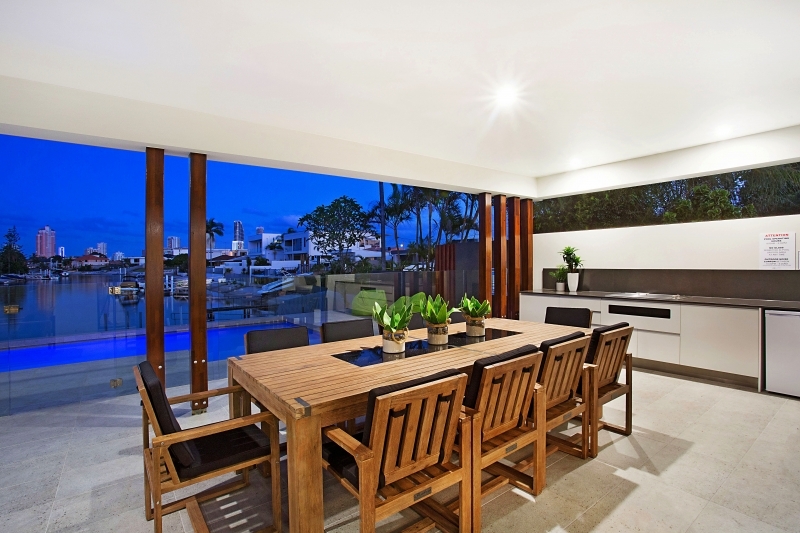 Sophisticated outdoor kitchen and alfresco dining – Gold Coast living at its finest. 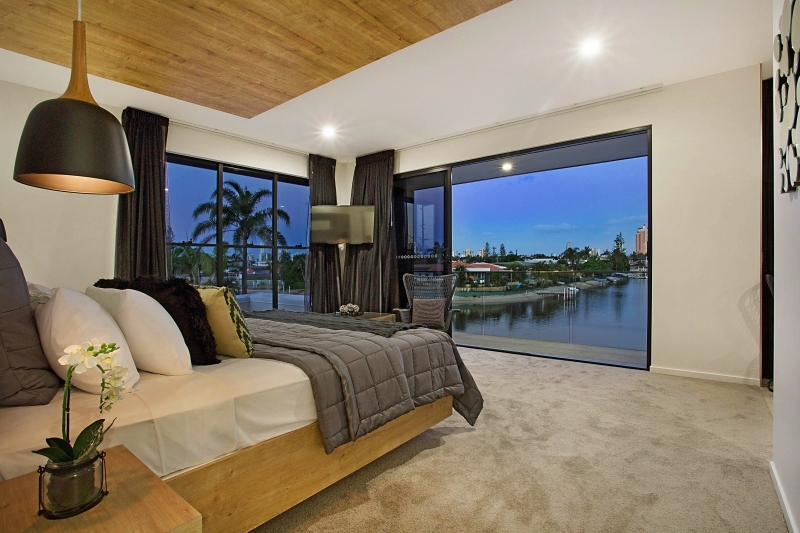 For more images of beautiful Gold Coast canal front homes, visit our gallery.